One in five orthodontic patients is an adult. Fortunately, there are options for straightening teeth that don’t draw attention to your smile. Two popular options are Invisalign aligners and lingual braces. Both orthodontic options offer a cosmetic way to straighten your smile since both are almost invisible compared to other teeth-straightening treatments. Let’s take a look at the benefits of both, and the advantages of lingual braces over Invisalign. Invisalign aligners are removable trays, very similar to a retainer. With this type of treatment, you don’t need to worry about wires or metal brackets and there’s nothing permanently fixed to your teeth. However, you can see the aligner trays subtly when up close. You can remove the aligners to brush, floss, eat and drink and you don’t have to give up your favourite foods during your treatment. The downside is that since you can remove them, you may be tempted to do so more often than you should. Invisalign aligners are custom-made with 3D technology and you’re required to wear them for up to 22 hours a day. You receive a new set of aligners every two weeks to help your teeth gradually shift into a straighter smile. While Invisalign isn’t entirely invisible, it is a highly discreet treatment. There’s no metal whatsoever and the aligners are made with a transparent material. Of course, the removable aligners are the major benefit of this treatment. You can take them out to clean your teeth and enjoy any foods you want. What’s more, before your aligners are created, your treatment is meticulously planned from start to finish using the specially designed software. We can show you a digital representation of your teeth, so you can see how they will look throughout the treatment and the end results. The Invisalign treatment time usually takes the same number of months as braces, but there is more responsibility placed on the patient. When using Invisalign, you’ll need to keep up with the trays. You must remember to regularly replace them every week and keep the trays in for up to 22 hours a day. Losing a tray or not wearing it for the required amount of time may mean setbacks in your treatment. While Invisalign aligners certainly have their benefits, lingual braces may well be a better option for your orthodontic needs. While lingual braces aren’t yet as popular as traditional braces, they have gained mass attention in recent years. Also called incognito or hidden braces, this treatment uses the same straightening methods and hardware as traditional braces, but they are completely hidden from view. The braces are applied to the back of your teeth, which means you won’t be able to move them when eating or brushing. The application process is relatively the same, too, and you will need to avoid certain foods and drinks over the course of your treatment, including sticky and hard foods. How Are Lingual Braces Applied? Before we apply the brackets, we’ll take impressions of your teeth and use them to create your treatment plan as well as your wire and brackets. Next, we create a mock-up of how your teeth will look at the end of your treatment. We then form the braces to fit the back of each of your teeth specifically. Once brackets are fabricated, we lock them into place and make small but important movements throughout the duration of treatment. The biggest benefit of this type of treatment is just how discrete the braces are. 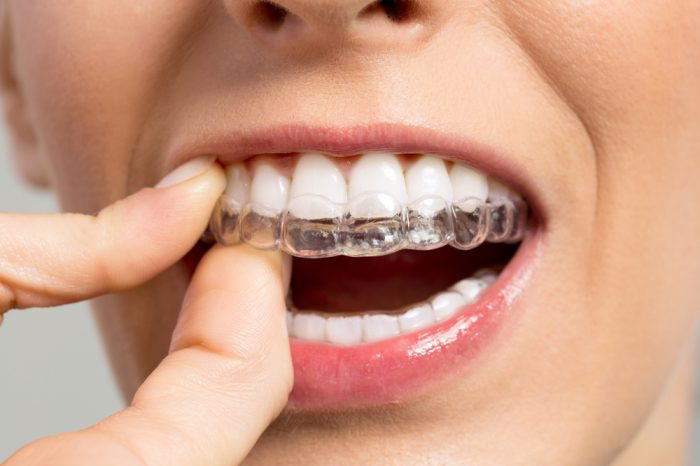 The entire brace is placed behind your teeth and completely hidden from view. Most people won’t be able to tell that you’re wearing lingual braces unless you tell them. What’s more, the braces use fixed wires and brackets to move your teeth into straighter positions. This gives us complete control over the movement of your teeth, allowing treatment of the most complex cases. Toward the end of treatment, we can make minor adjustments to achieve the best possible results. Since the braces are attached to your teeth, there’s no risk of forgetting to put aligners back in. Or, for that matter, losing your brace. Best of all, there’s no temptation to remove aligners: this can impact the length of treatment and your final results. In some cases though, lingual braces can take slightly longer than Invisalign. With lingual braces, just like traditional braces, you will need to visit the orthodontist regularly for inspections and adjustments. Typically, you will visit the office every eight to ten weeks for the duration of your treatment. The appointments, however, are short in length, and you can carry on with your day in no time at all. Lingual Braces Over Invisalign – Which Is Right for You? Lingual braces offer benefits that Invisalign can’t offer. Visa versa, Invisalign offers advantages that lingual braces can’t offer. Both are effective at treating crooked teeth. However, many patients are drawn to lingual braces as they are the more invisible option of the two. If you dream of a straighter smile without anyone realising you are undergoing treatment, the next step is to decide between lingual braces and Invisalign. For some, Invisalign is easier to manage since you can remove your trays to eat and brush. On the other hand, you may be tempted to take your Invisalign aligners out and misplace them. Or perhaps forget to pop them back in. This can significantly impact the duration of your treatment. Choosing between lingual braces vs Invisalign depends on your lifestyle and habits. While Invisalign may seem like the most attractive option, there are good reasons why patients often prefer lingual braces. 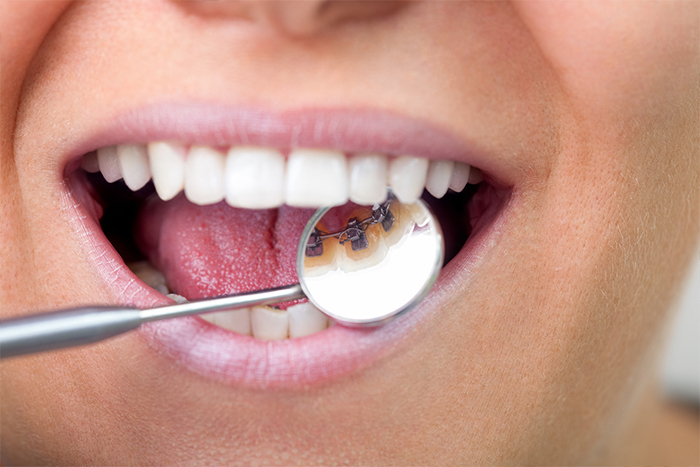 There are certainly advantages of lingual braces over Invisalign. For some patients, lingual braces offer a no-fuss orthodontic treatment, as the braces are secured in your mouth. To determine the right treatment for you, to book a consultation at Medland Orthodontics to discuss your orthodontic needs. Whether you prefer Invisalign or lingual braces, you can look forward to a straighter, healthier smile with discrete treatment options.